Fully aware of the government's pervasive influence in the operations of businesses and other entities, TCM creatively crafts solutions to the complex legal challenges presented by policy makers. Our firm has a strong relationship with business and non-profit groups, former government officials, state government practitioners, technical experts, other lobbyists, and international attorneys and professionals. We are positioned to cover a wide range of needs in dealing with the Puerto Rico government executive and legislative branches. 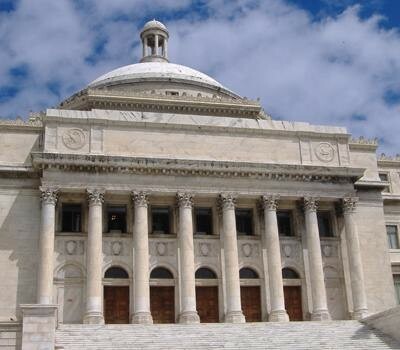 TCM is duly registered as lobbyist at both the Senate and the House of Representatives of the Commonwealth of Puerto Rico. Representative clients and matters (Government & Legislative Affairs): Praxair, BV (Gas & Pharmacy Act matters, DOH Rulemaking, Environmental); Cemex de PR (Environmental, Natural Resources, Green Energy, Land Use, and Fair Trade Practices); Waste Management (Environmental, Solid Waste, Recycling, Property Tax Legislation; Rulemaking process); Commercial Centers Management (Public Service Commission); Rockwell International (PRASA Legislation and Regulations); Film Industry Clients (Film incentives). A group of like-minded entrepreneurial attorneys with complementary legal practices, founded TCM almost 20 years ago, after working together at Puerto Rico’s largest law firm, McConnell Valdés. © 2018 Toro Colón Mullet, P.S.C. All Rights Reserved.